After enjoying an afternoon testing the Tecsun S-8800 on the Blue Ridge Parkway this past weekend, I decided to return to the parkway yesterday and test the S-8800’s shortwave performance. I carved out about two hours of my afternoon and spent the entire time comparing the S-8800 to the Tecsun PL-880 and the Sony ICF-SW7600GR. I tested the radios on several shortwave bands and in both AM and SSB modes. In my comparisons, the Tecsun S-8800 has consistently outperformed the PL-880 and Sony ICF-SW7600GR on the shortwave bands. The AGC is pretty stable and sounds much like that of the PL-880 when QSB (fading) is present. Sensitivity is better than the PL-880, though, so the S-8800 can dig those signals out of the noise a little better. Note, too, I had to pick up both the PL-880 and ‘7600GR in my hand to obtain the best performance–that additional grounding gave each a slight boost. Quite common for portables. The S-8800 didn’t require this. After I returned home yesterday, it struck me that perhaps a longer telescopic whip gave the S-8800 an advantage. Turns out, it’s only three inches longer than the PL-880’s whip. 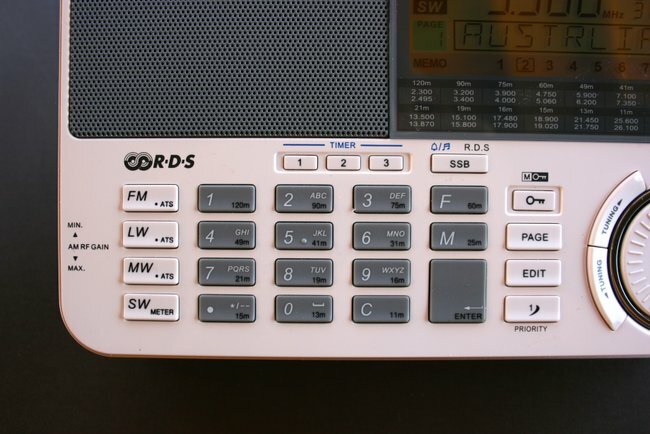 Next, I need to spend a little time with the S-8800 mapping out any birdies on HF–a tedious process. I hope to start on that today. To follow updates on this yet-to-be-released receiver, follow the tag: Tecsun S-8800. UPDATE: Click here to read our full Tecsun S-8800 review. This entry was posted in New Products, News, Portable Radio, Reviews, Shortwave Radio, Shortwave Radio Reviews and tagged ICF-SW7600GR, PL-880, S-8800, Shootouts, Shortwave Radio Shoot out, Sony, Sony ICF-SW7600GR, Tecsun, Tecsun PL-880, Tecsun S-8800, Videos on August 29, 2017 by Thomas. Powering the Sony ICF-SW7600GR with USB rechargeable packs? 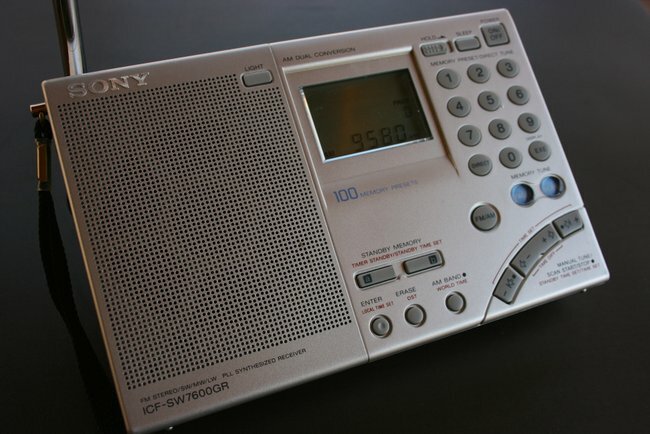 I rely on my SONY Shortwave in case of emergency, but it’s occurred to me that relying on the alkaline batteries inside to be fully charged and not corrode wouldn’t make sense. I am thinking it would be great to be able to power the radio’s 6V 700ma off of the multiple USB rechargeable power sticks I have around the house. What I need is a cable from the USB stick to the radio. As a hobbyist project, any ideas for an existing cable or how to make such a cable with the appropriate power circuit? I know a power cord can be created as long as polarity and the coaxial plug match what the Sony requires. I’ve never used the Sony on a 5 VDC source–I assume it’s within tolerance and RX sensitivity wouldn’t be affected? Post readers: If you’ve ever created or purchased a USB power cable for the Sony ICF-SW7600GR, please comment! 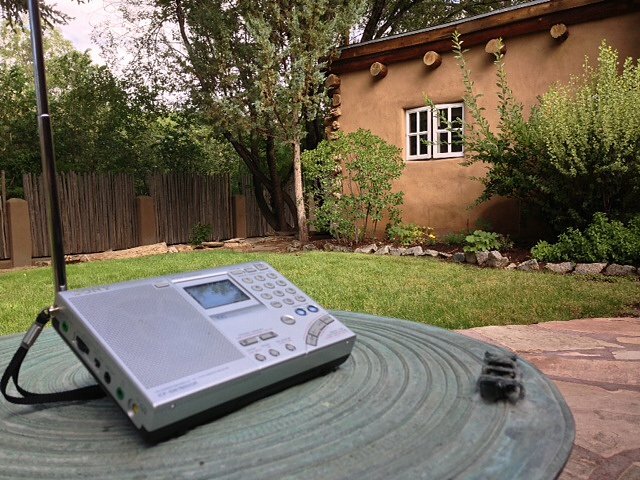 This entry was posted in Accessories, News, Shortwave Radio and tagged ICF-SW7600GR, Sony ICF-SW7600GR on May 15, 2017 by Thomas. As the 7600GR supplies 6v DC to the external antenna jack to power their active loop antennas there seems to be a great deal of confusion on the web about whether one can or cannot use an external antenna such as a random length of wire attached to the center tip of a barrel connector. I have been unable to locate the blog entry but I seem to remember you discussing this in one of your posts. In it you mentioned you had built a widget that killed the voltage and allowed you to use the external antenna of your choice. I would appreciate your thoughts on a random wire to center tip antenna and details of the widget you built when you have time. Thank you for your question, Steven. I hope a reader can help point to the post you’ve mentioned. I believe I recall reading this in a guest post–I know I’ve never used a device to kill the 6V phantom load in the antenna out jack. I suppose I’ve (incorrectly?) assumed the Sony would only push voltage out if connected to the Sony AN-LP1 (see right). I know I’ve used a number of antennas with the ICF-SW7600GR: long wires, the PK Loop, The EF-SWL, the NASA PA 30, and even a rather large multi-band dipole when I recorded the final broadcast of RNW. I’ve never experienced a problem, nor damaged the antenna/receiver as of yet. Can anyone shed some light on this? Please comment! This entry was posted in Antennas, News, Portable Radio, Shortwave Radio and tagged ICF-SW7600GR, Sony ICF-SW7600GR, Steven Crawford on April 3, 2017 by Thomas.